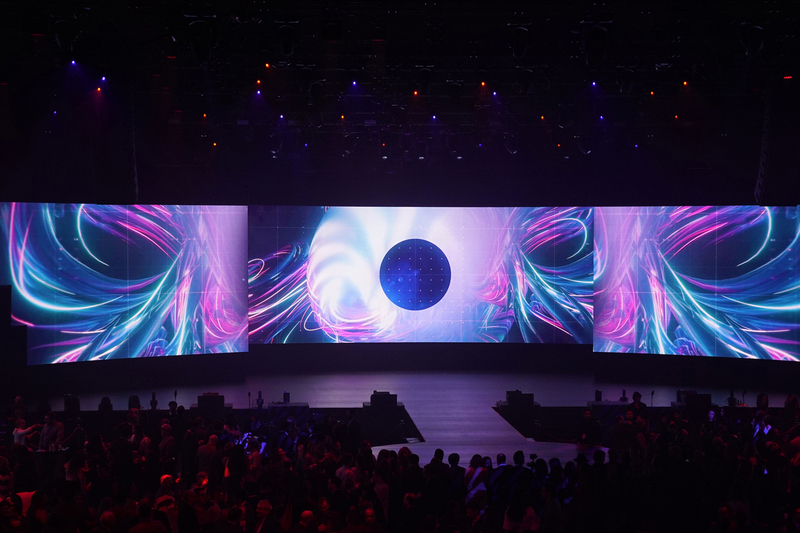 At the 2018 Telemundo Upfront, the smiles were as wide as the LED wall. 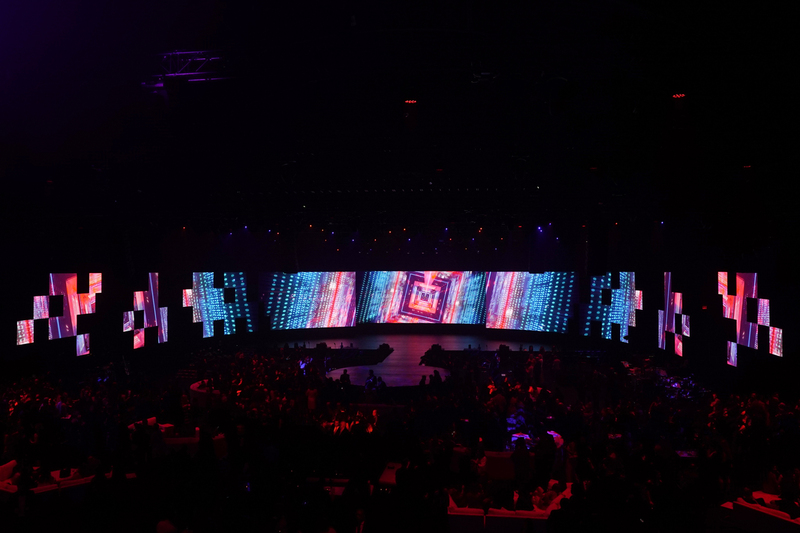 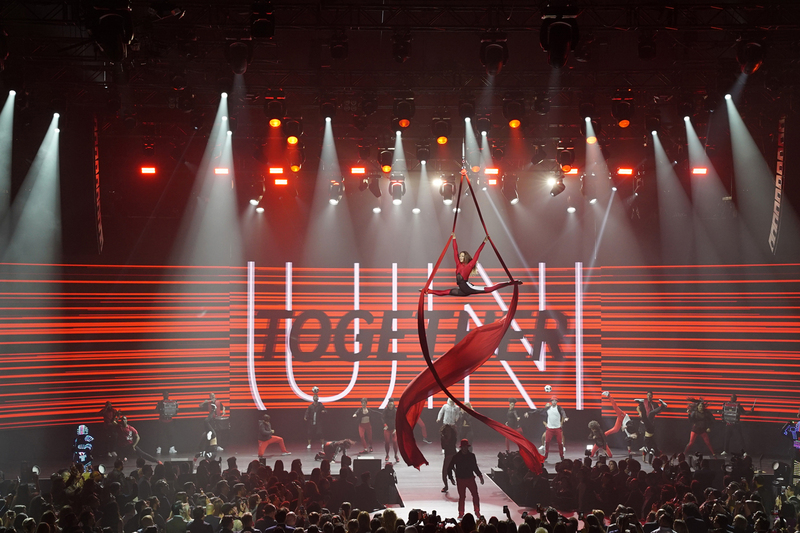 WorldStage’s brand new c3ONE LED tiles created the wrap around LED wall which included moving sections for talent entrances. 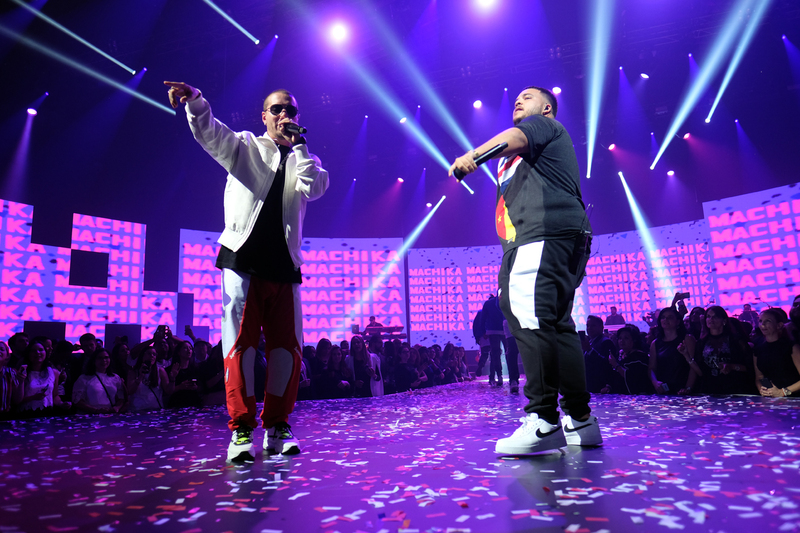 Colombian artist J Balvin closed out the show with a full set, complete with robot DJs, wild lighting, and intense reggaeton beats.